Gartner just concluded its Gartner Symposium/ITxpo 2013 in Orlando, gathering tens of thousands of IT executives. 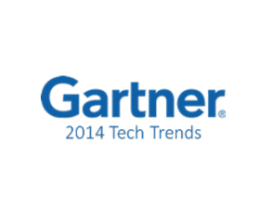 Among the most anticipated aspects of the gathering are the ruminations from the Gartner pontificators regarding IT trends. Among several trends shared were the Top 10 Strategic Technology Trends for 2014. Click here for the summary of those trends.